Tile adhesive manufacturing plant, also known as tile bond making machine, is used to manufacture tile adhesive(bond). 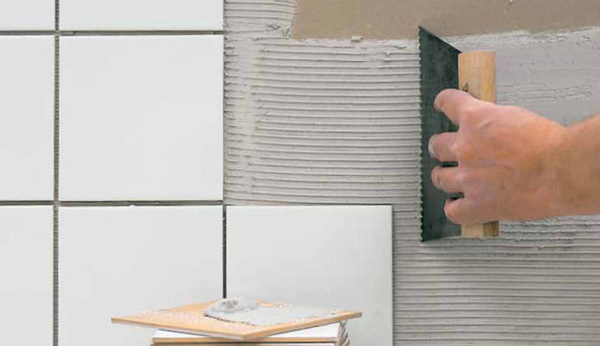 With the development of construction industry, the demand for ceramic tile grout adhesive plants is increasing. 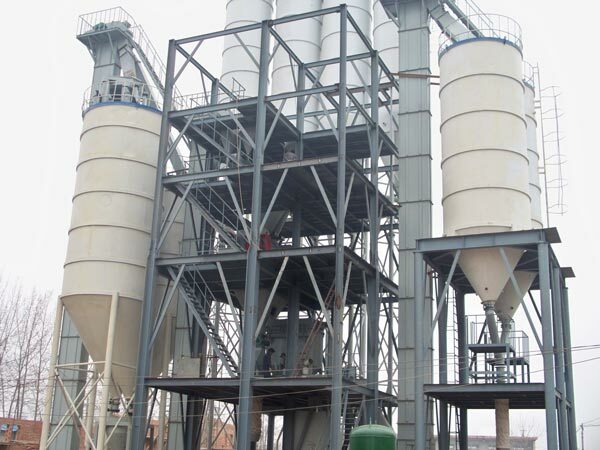 This equipment not only can produce ceramic tile adhesive(bond), but also many other kinds of dry mortar, for example, ordinary dry mortar and special dry mortar with certain features such as thermal insulation, sound absorption, radiation protection etc. Full automatic tile grout adhesive plant is full-automatic, equipped with weighing system, packaging system. middle size tile grout adhesive plant needs less investment, less floor consumption. With compact structure, it can be installed in standard industrial workshop. 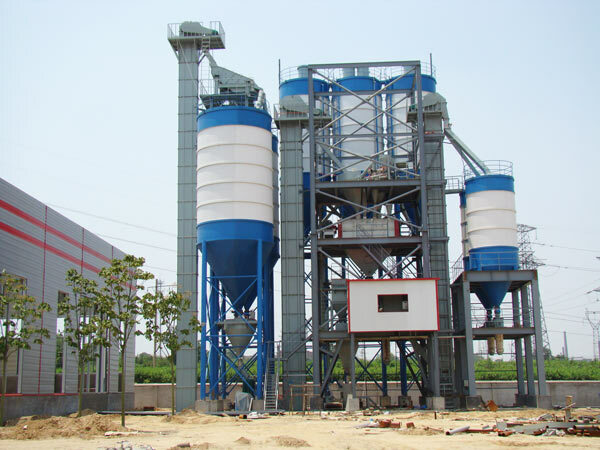 It is a type of simple and flexible dry mortar production line. simple layout, easy to install and maintain. relatively low investment and quick returns. Tile adhesive, also known as tile bond, is made of cement, quartz sand, and polymer binder with a variety of additives that are mechanically mixed evenly. Ready mix tile adhesives are mainly used to bond tiles, also known as polymer tile adhesive mortars. The tile adhesive solves the problems that ceramic tile, floor tile and other materials lacking high-quality special adhesive materials in the paste construction. It provides a new type of reliable tile paste product for the construction industry. 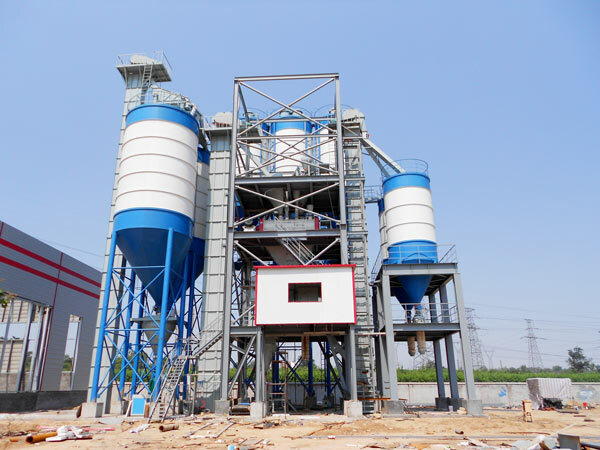 Dust Collection System: collecting dust from drying system, weighing system, mixing system, packing system, it helps to protect the environment. Control System: Semi-automatic or full-automatic control system for customers to choose. How to manufacture tile adhesive? I will introduce the work flow of a tile adhesive manufacturing plant here. 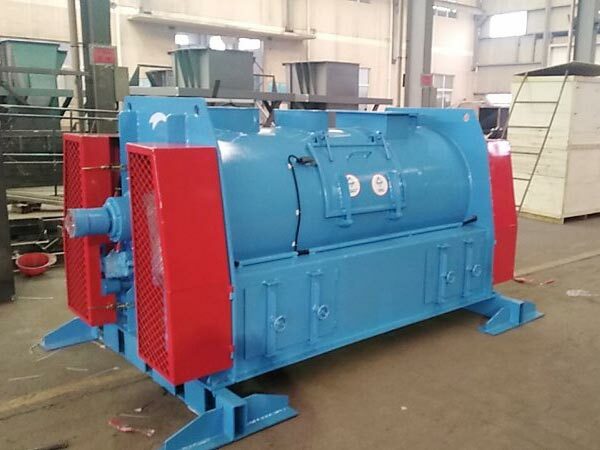 The raw materials first enters the drying system for drying. After the water content is qualified, it is transferred to the tank for storage by the hoist. After that, sand, coal ash, cement etc. 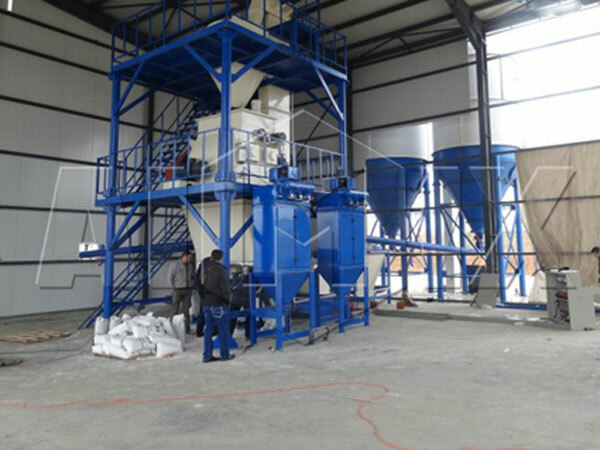 raw materials and additives will be weighed and sent to the dry mortar mixer for even mixing. After mixing, the stirred material is sent to the finished product storage bin for packing. The tile adhesive mixture can be packed by bags, or stored in cement silos, or delivered by bulk tank truck directly. We can provide the specific tile adhesive recipe if customers buy our tile bond making machine. Aimix tile adhesive manufacturing plant price ranges according to the equipment size and automatic degree. In general, the larger and higher automatic degree of the tile bond making machine, the higher its price is. Our enginneers will provide customers the most suitalbe plan according to your real demands. if you want to learn more about it, welcome to contact us via email sales@aimixdrymortarplant.com or leave a message in the form below. 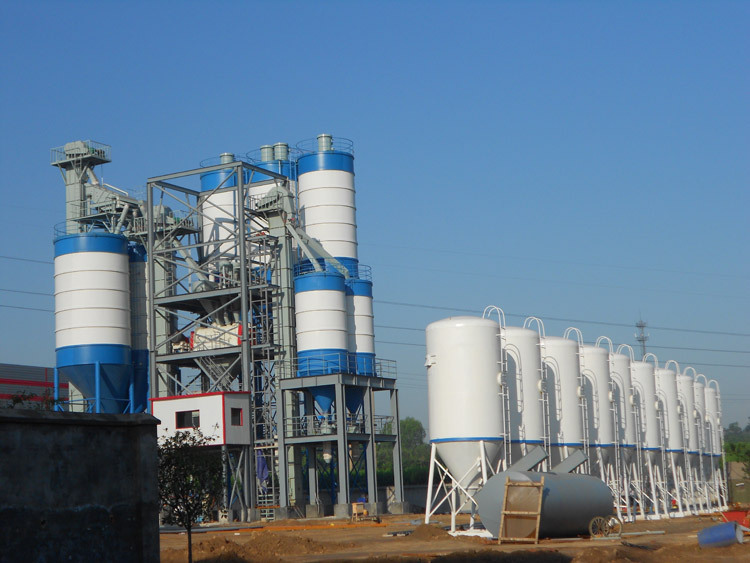 Aimix as an experienced China tile adhesive making machine manufacturer and supplier, provides one-stop free instruct service from process design, mortar mix ratio and construction process etc. to solve the customers’ worries. Don’t hesitate to write down your questions and inquiry in the form below!